When it comes to suede, we can’t be proactive enough in the care and maintenance that we devote to keeping our suede possessions looking brand new. Known as the less durable cousin of standard leather, it’s our job to ensure that you have the tools you need for effective suede care. Our Suede Care Products are versatile, high-quality, and best of all: available for order online and ready to be shipped to your door! Let’s check out some of our most popular Suede Care Products, and we’ll tell you a little more about what makes these products so special. A powerful, effective cleaner, for any item made from Suede or NuBuck. Perfect for protecting all items of Suede & NuBuck. 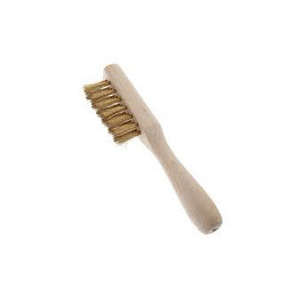 Brass wire suede brush used for cleaning all itmes of suede shoes, clothing, handbags & more.